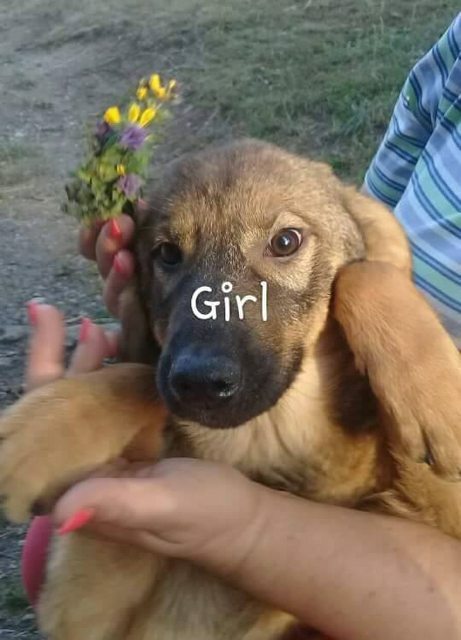 Senja is approximately 5 months old and we think is a German Shepherd cross, although this is very hard to know for sure as she was rescued from the streets of Bosnia with her littermates as a young puppy. Senja is expected to be medium – large sized once fully grown. Senja is a gorgeous girl, She will arrive with us on the 14th October and is looking for her forever home. She will be a typical puppy and will require all of the training and socialisation puppies do need. Senja can live with other dogs, dog savvy cats and children aged 4 plus years. She hasn’t lived in a home before so will require lots of time and patience to help her whilst she is settling in. She will require all of the normal house training etc that puppies do need. Senja is fully vaccinated, microchipped, flee’d and wormed up to date and has her pet passport. She is currently too young for us to neuter before she leaves for her forever home so will leave us on a neutering contract.